We have talked about propolis before but it has so many active properties that benefit health it is hard to fit it all into one article. Propolis is a resin that bees use to protect their hive from bacteria and more. Recent studies, specifically on New Zealand propolis, have shown that it also contains the same nutrients as the European propolis, which comes from popular trees such as birch, oak, and cottonwood. However, it is also noted that you cannot leave out the components in propolis that are supplied by native plants such as manuka. When studying New Zealand propolis it was found to be 70% dihydrofalavinoids. It is these dihydroflavanoids in propolis that account for part of its biological activity. In one study testing the antibacterial properties of propolis compared to pollen, it was found that propolis has a much higher savaging rate of gram-positive bacteria. Gram-positive bacteria include bacteria that proliferate in the sinus, throat, and lungs causing infections. Propolis was found to reduce the proliferation of these bacteria. Leading to the conclusion that propolis would be beneficial in cases of sore throats, coughs and sinus infections. Propolis works by reducing the bacteria’s motility and enzyme activity essentially stopping its ability to multiply. 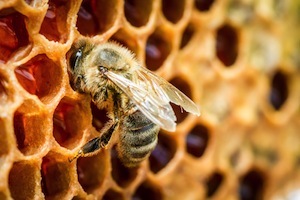 Other review articles have connected reduction in dose of some antibiotics in treatments of gram-positive infections when antibiotics are paired with propolis. But when it comes to getting the most out of your propolis don’t wait too long! It is important to start taking propolis at the first sign of an infection, as this is the best opportunity to stop the bacteria in its tracks. If you wait too long the bacteria will have multiplied into the thousands and it will take much longer to ride your body of that pesky infection. Propolis comes as a tincture, capsule, throat lozenge or cough syrup so no matter what your ailment there is an option for it. Don’t just purchase the product from anywhere. Check out the links for these New Zealand products which are specifically graded under the trademark CPL for their dihydroflavanoids levels. Markham, K., Mitchell, K., Wilkins, A., Daldy, J., & Lu, Y. (1996). HPCL and GC-MS identification of the major organic constituents in New Zealand propolis. Phytochemestry, 42 (1), 205-211.